Who’s behind this EJOLT project? In an effort to start 2013 as transparent as possible, we captured the EJOLT project in a few sets of pictures. 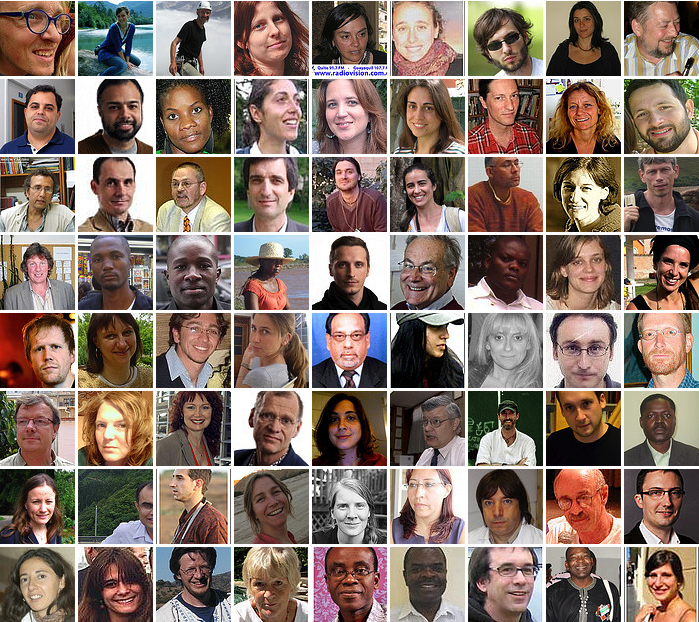 On our flickr page you can see all the 72 faces that build this global project in the photoset EJOLT team in 1 view – if you double click on the set “EJOLT team”. If you want to learn more about any person, just click! Another set captures the eight issues we work on, again with some info on what we do in that particular theme. Thematic sets are currently limited to nuclear energy and tree plantations, but we’re building up this visual library to complement the many resources that we produce. To hear our voices, I refer to the set of 13 radio-interviews with different people from the EJOLT family on a wide range of topics. And now that you know who we are: join our efforts in building up that movement for environmental justice! Posting and commenting on our facebook page is the easiest way to connect with us and to help us build up that community.